When commentators argue that the government should determine the designer and builder of the Future Submarine Program (FSP) via a competitive Project Definition Study (PDS), they seem to forget—or don’t know—that the SEA 1114 PDS process (which led to the selection of Kockums to build the Collins class submarines) was less than perfect. At the time of submitting the proposals the design of the HDW and KAB submarines were less than 20% complete, with lump sum prices submitted on scant performance criteria. The government made a political decision on the data submitted and following assurances provided during contract negotiations, including the establishment of a domestic naval submarine industry. In essence, the Competitive Evaluation Process (CEP) will be no less effective than the PDS tendering processes for the Collins class acquisition program. And the CEP will arguably deliver a better result for the government unless an enhanced PDS delivered a substantially completed design of the submarine or the Commonwealth could conflate the designs of the PDS contenders into its preferred outcome. These, however, are unlikely to materialise. 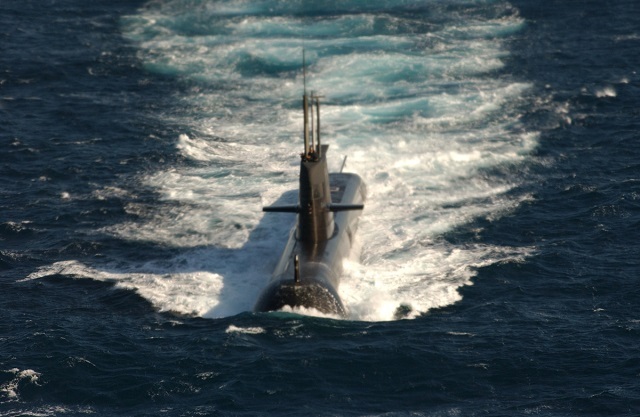 TKMS of Germany, DCNS of France and Mitsubishi-Kawasaki of Japan are accomplished submarine designers and builders. Each bidder would have made a persuasive case in their CEP response that they are committed to fulfilling the RAN’s unique operational requirements, that they’ll engage local industry extensively and that their submarine design and building concepts are safe and cost effective no matter where the future class will be built—in Europe, Japan or Australia. Thus, based on nuanced preferences the government’s CEP evaluation team can recommend any of the three contenders. As the owner of the IP the Department of Defence has repaired, replaced, retro-engineered and improved the Collins class submarine systems to a high level of performance and reliability. And with more improvements planned, an augmented Collins class could provide the RAN with better value than any of the three current contenders for Australia’s future submarines. Notwithstanding the present drafting of the Defence White Paper it is anticipated the National Security Committee of Cabinet (NSC) is likely to decide on the DOD’s recommendation of the preferred submarine designer  by mid-2016. That would clear the way for the FSP Office to fully develop the scope of work with the selected international partner over the following three years. During that early design phase the operational and interoperability requirements with the key regional allies (USN and JMSDF) will be finalised, and the projected building and through-life costs will be better understood. And because the first of the new class is unlikely to be commissioned into the Australian Navy before 2030 and the Collins class will be operating well into the 2040s, synergies arising from commonality between the Collins and the new submarine class should also be considered during that period. Whereas the RAN now rates the Collins class as peerless the three CEP contenders haven’t designed, let alone built, a submarine that approaches the RAN’s future submarine operational requirements. As a first hurdle the contenders for the FSP will have to demonstrate that their submarine design will exceed the performance and cost-competitiveness of the Collins class in its current configuration. Failing that the Commonwealth has the fall-back option of keeping the upgraded Collins boats in service until a solution for the future class is agreed to. And in the event that the Commonwealth and the submarine design house are unable to conclude the three-year design and definition phase successfully, or the parties decide not to enter into a build contract, an evolved Collins class remains a realistic option for the RAN. Under the current SEA 1439 Collins Class Submarine Reliability and Sustainability program major platform systems are upgraded. The electronic components and software for the automated Integrated Ship Control Management and Monitoring System (ISCMMS) are being updated to ensure the system continues to operate dependably into the future, and planning is underway to upgrade the communication systems for obsolescence and interoperability reasons. It must also be expected that the power-hungry AN/BYG-1 combat control system will evolve under the US/AUS Advanced Processor Build (APB) program to render it more suitable for diesel-electric submarines. But it will be progress in (quantum) computing and advancements in cyber-physical systems (CPS)  that will determine the next-generation multi-disciplinary systems and construction methodology of the FSP. The acoustic performances of the array suites have been enhanced while the hydrodynamic characteristics of the class can be further improved by reconfiguring the towed array handling system, by installing streamlined flank and distributed arrays on the hull, and by redesigning the cylindrical array situated in the fore section of the submarine casing. While the buoyant wire and the high frequency antenna and periscopes are to be updated under the sustainability program, the casing, fin and masts will also require augmentation to lessen mast wake vortices and vibration, and lower pressure drag and skin friction. The Collins boats’ propulsion system should be replaced with low signature and fuel-efficient diesel generators and gearless permanent-magnetic synchronous motors in the CEP proposals. While propeller technology based on high damping material are likely to feature in the TKMS and Mitsubishi-Kawasaki designs, DCNS could suggest a propulsor for their new Australian class. Continuing with Swedish design philosophy the X-configured aft-control-surfaces that provide the Collins class with superior manoeuvrability will feature on the future submarines in augmented form. On the energy front, lead-acid batteries will have been replaced almost entirely within 10 years. And by the time the first of the future RAN submarines is launched, lithium-ion battery technology  may have been overtaken by lithium-sulphur (Li-S) Li-air, or Zinc-air battery technology. By providing much greater energy density at a fraction of the cost such an energy source would render submarine AIP technologies (PEM fuel-cell, MESMA, Stirling and closed cycle diesel engine) obsolete. Those emerging technologies and the comprehensive program of continuous innovation and improvement enable the current class to be a serious and low risk contender for the FSP. As a minimum, the RAN should make one Collins boat available for prototyping systems that are designed to feature in the next generation of Australian submarines. An additional conclusion that can be reached in light of those considerations is the contractual model for the FSP. Given the rapid rate of technological change and yet to be fully specified operational requirements, a fixed-price lump-sum contract is meaningless in any CEP or PDS offer as it’s unenforceable under a construction program over an anticipated 21 year timeline for 12 boats. Indeed a fixed-price model will in all likelihood lead to massive cost blow-outs through the traditional variations and extensions-of-time processes. Add in disruptive innovation and technological advancements, exchange rate movements and the inevitable changes in the RAN’s capability requirements and you have a recipe for a procurement disaster. Hans J. Ohff is a visiting fellow at the University of Adelaide and a former CEO of ASC. Image courtesy of Department of Defence.